Raising children can be both hard and a blessing. Raising a child with autism is a lot more challenging. Autistic children often times have problems communicating even their simplest needs sometimes. Parents of autistic children are constantly looking for “more tools to put in their tool chest” Michael Knight the founder of Popchilla, told nibletz.com in an interview. 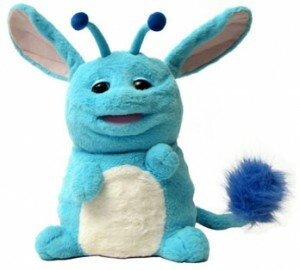 Popchilla is a fun loving robotic stuffed animal that also has an app to go along with it. As an example Knight showed us a portion of the app where the Popchilla would tell the child to get his or her toothbrush and tooth paste from a virtual house on a tablet, and then brush Popchilla’s teeth. Knight knew early on that Popchilla would be a success. His company used to make animatronic robots. He wold get questions from parents of autistic children all the time, asking when he was going to make a robot for them. He learned that sometimes children with autism actually interact better with robots rather than humans. Popchilla was one of the most innovative things we saw at Eureka Park. Not only is Popchilla a cool robot, but when you couple that with the app you have a recipe for success, and definitely another tool for the tool chest. Want to exhibit your startup at the largest startup conference in the U.S.? Check out everywhereelse.co the startup conference.